Through my own experience, I have realized that most of us started blogging as a hobby. It provided an outlet for self-expression and a way to connect with like-minded individuals that we would otherwise never interact with. My name is Lucy Valdez , and I am a cruelty-free professional blogger, meaning I only use and promote brands that do not experiment on animals. 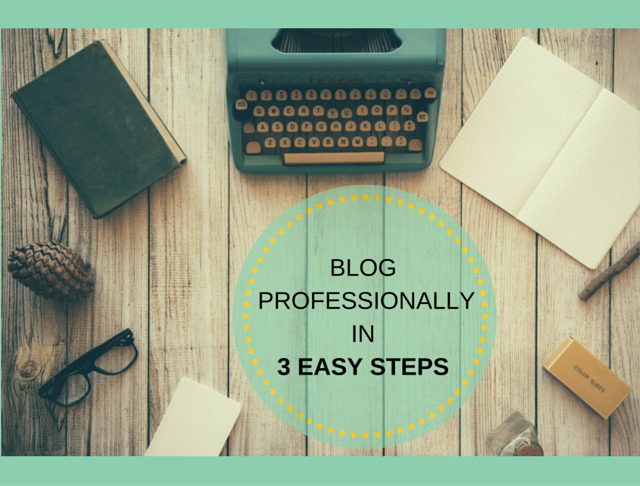 It was during my days as a novice blogger that a persistent, little voice inside my head kept asking “Can I really do this professionally?” You see, up until that point, the only person that had read my blog was my sister-in-law, who not coincidentally was the one who suggested I start blogging in the first place. I had no idea what keywords were, what SEO stood for (Search Engine Optimization, by the way), or really anything to do with professional level blogging. But, after attending numerous blogging events and meeting Public Relations professionals and brand reps, I knew that I, too, had it in me to make blogging my livelihood; but first, a few steps needed to be taken to make the transition successful. I highly recommend spending time evaluating your blog’s ‘look’ and have your blogger pals provide honest feedback. I incorporated their input when I discussed a new template with my Web Designer. I also went ahead and ordered business cards with my headshot, website, contact information and social media handles. With my new-found confidence and business cards, I started attending networking events and mingled with brand owners, fellow bloggers and marketing professionals. Post events, I was consistent about sending follow-up emails to my new connections. This simple, extra step worked wonders and opened the door to new opportunities! Apart from social events and meetups, there are countless online tutorials and videos, from amazing bloggers, readily accessible to all of us; all we simply need to do is look. If you are looking for more personalized assistance, there are Business Coaches, who work with bloggers individually, and teach them the skills to optimize their online presence. I took advantage of all of these resources! I implemented optimization on my site as well as in each new blog post. In my free time, I also started optimizing older posts. This is still a work in progress. Consistency is key when it comes to being a professional blogger. I am a huge planner nerd, so I use a good old-fashioned paper planner for creating and following my blog schedule. I find it beneficial to schedule my posts and social media strategy a month in advance. I also find that using a checklist helps me ensure that I am executing my content out correctly. Sundays and Mondays tend to be my best days for photography and content writing. However, if my son happens to have a Sunday baseball game, then I just rework my day that following week. Sometimes it’s all about improvisation! I also make sure to stay on track with sponsored post deadlines. Not meeting a deadline with a PR agency or brand is never good. Even worse, is not communicating this delay with them. Life happens and wrenches get thrown, but the PR agency or brand will be more understanding when they know that a post will be delayed ahead of time. No one is perfect! Trust me, any writer or blogger that says they have never submitted a late post is lying. If I find myself behind schedule, I send out an email with an explanation and request for extension. Through my experience, 99% of the time, the replies have been positive. Speaking of positive replies, this very post that you are reading, was actually late in delivery! My laptop went haywire, so I found myself having to borrow my daughters’ last minute. Like I said, life happens, and sometimes we just need to improvise. Are you looking to make your blog your business? What habits do you believe you need to attain in order to become a professional blogger? Let us know in the comments below! Working on your creative goals, too? Follow me, Maria M. Ruiz of www.chibiloulou.com, as I explore my love for photography, writing and poetry — and attempt to make it all work seamlessly together. I personally suggest to write an easy e-book for someone to start a professional Blog and give it for free. This will help visitors to engage more towards the blog content by subscribing to email newsletters. Hi Maria, this post helped a lot. I just joined the blogger union and plan to attend the July meet-up. At this time, working on my blog does give me the most happiness so I would like to turn this hobby to the thing I do for a living. Just sure because of my niche. I hope to get inspired by the other bloggers I meet at this meet-up. Thanks!